Lake Hodges is Killing Me! 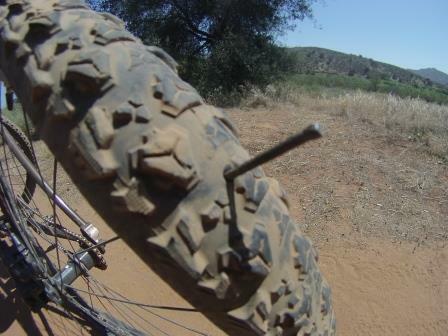 Three weeks ago, after returning from Oaxaca, I biked Lake Hodges and experienced my worst wreck in more than twenty years of mountain biking. I turned a corner, dropped in, and … front wheel slides into a rain-formed ditch/gulch … I superman over the bars … intense pain flashes through my body from my lumbar and hip region to my head … I lay there, conscious … do I move/can I move … I wiggle some fingers and toes, I move my arms, and then a leg … not paralyzed, I guess. Suddenly nausea takes over and I feel like I’m going to puke. I get up and sit back down. It passes. My right lower back and hip hurt like the dickens, as they used to say. 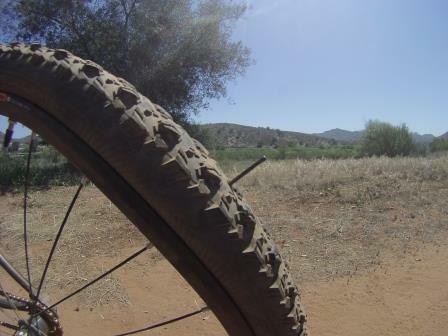 Anyway … I can walk, so I pick up my bike and move it past the messy trail area. 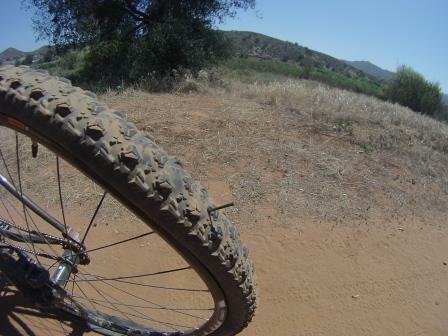 I get back on and ride, seeing that my front wheel is all wobbly … a little taco-ed … damnit, I’ll need a new front wheel. I ride slowly, the wheel sometimes rubbing. Ugh. Today, for the most part, I feel fine. A little achiness is still there, and my right groin is still tender. The colors, deep and dark, from the bruising are almost gone. Scabs are nearly gone, but scarring is not. I can lay in bed and drive a car without being uncomfortable. Some say I mighta cracked my sacrum or hip or something. I don’t know. I could not believe it. After pulling it out, I put it back in to snap photos. I then looked around to see if it was sabotage, but I didn’t see other nails, tacks or anything that would lead me to believe it was not random. Still, how did … oh, never mind! If it comes in threes, what is next for when I return the Lake Hodges?! Previous Post Happy (Thursday Night Starts The) Weekend!